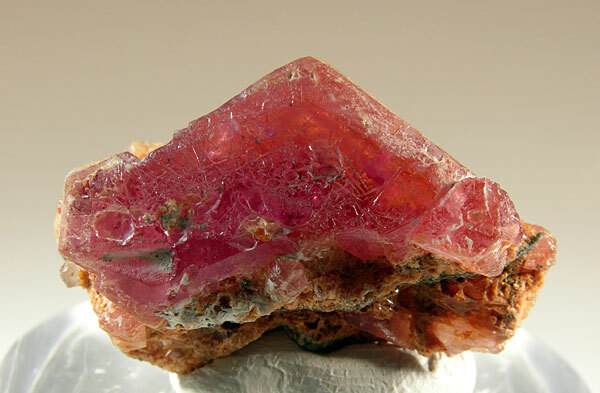 Copyright © 2005 by Edwards Minerals, LLC - This image is copyrighted. Unauthorized reproduction prohibited. Excellent, gem quality specimen of this rare beryl family member. Unusual in that it has some matrix attached. No damage. 3.0 x 1.9 x 1.6 cm.